Today I have a very special video and blog post for you! I was asked to be a Product Spotlight stamper for the OnStage event in Salt Lake City this past weekend. I can’t tell you how humbled and honored I am to be asked to sit on stage in front of 600 of my closest stamping buddies and stamp. 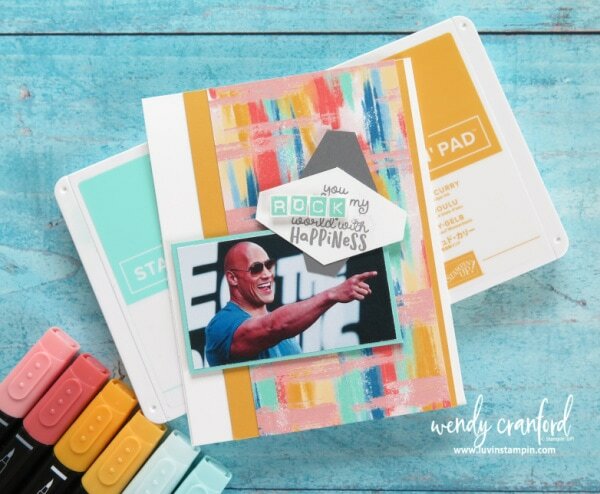 As soon as I was asked to stamp I thought, I have to work The Rock in to my presentation. Dwayne “The Rock” Johnson has been a great motivator for me. Not to mention he’s smokin hot! Ya know what I mean!? But seriously if you don’t follow this man on Instagram you should. He is incredibly motivating and inspiring. His “be the hardest worker in the room” motto are words I have adopted as my own mantra and I try to live by them. These cards got a good laugh and I think everyone will remember them forever. Ok, moving on to the other projects I created. I made several other cards for the display boards and for the presentation. 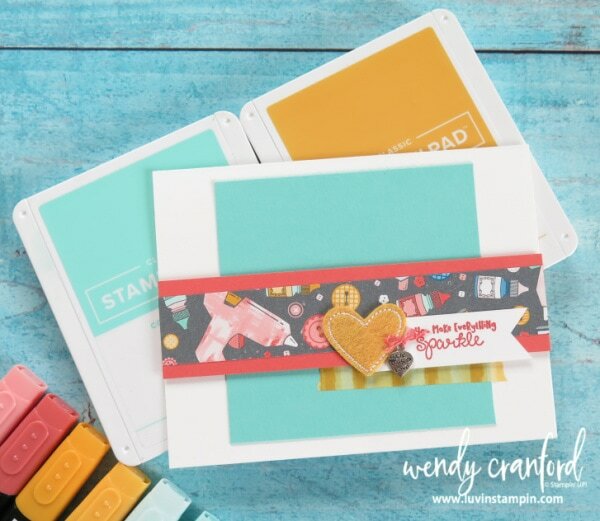 This card is really fun and definitely made for the avid crafter. It’s a fun fold and I will definitely be showing off how to make this card in a video this week. This card was super fun to create and how beautiful is that paper! I LOVE the color combination used for this designer series paper. All the colors are totally my colors. I was super thankful to get a stamp set to show off that I liked. I was worried I was going to get one that was going to be really hard to make cards with. This card is so simple but adorable. Using the felt embellishments from this suite of products is such a great way to class up your card with next to no extra work for you. Here is a trifold board I created to show off all the items in the suite. If you are a demonstrator and you hold events I highly recommend doing this with any suite of products that you plan on showing off. Here is a link to the trifold board if you want to buy it CLICK HERE. These boards are 14″ x 22″. Perfect size to fold up and stick in a bag. 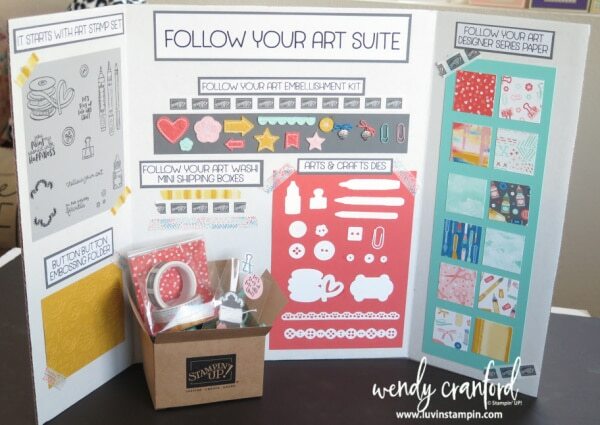 You could have a second board set up with all of your cards on it using the products from the suite. 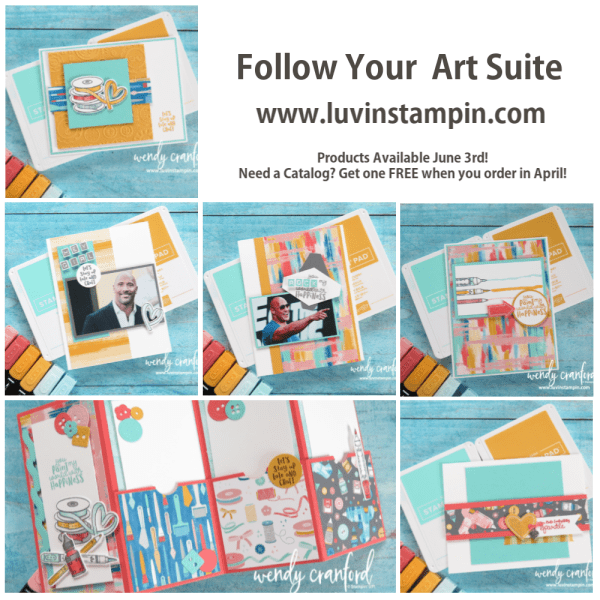 Do you want a new 2019- 2020 Stampin’ UP! Catalog? I would love to send you one completely free! If you want one for free place an order in April or May with me and I will send one to you. IF you want a catalog survival kit and a sample card featuring this suite of products then make a minimum purchase of $65 and I will add all the extra goodies to your catalog. What a cute stamp set and card. Will be on my wish list! Looking forward to the new catty. Ug, I bought everything but this suite and now you have ruined it and I’m going to have to place another order! Wish I could have seen your demo! I was in Texas and bet you were awesome! I love your display board! Perfect size to focus on a suite of products. Well done! !